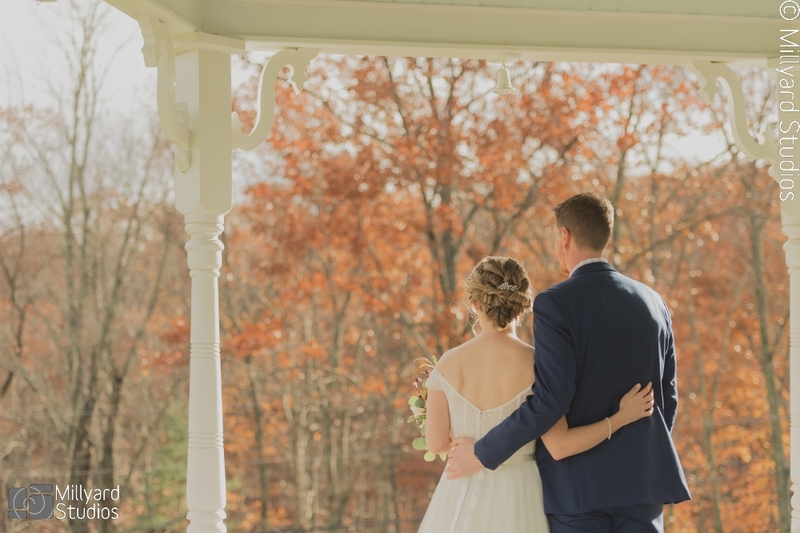 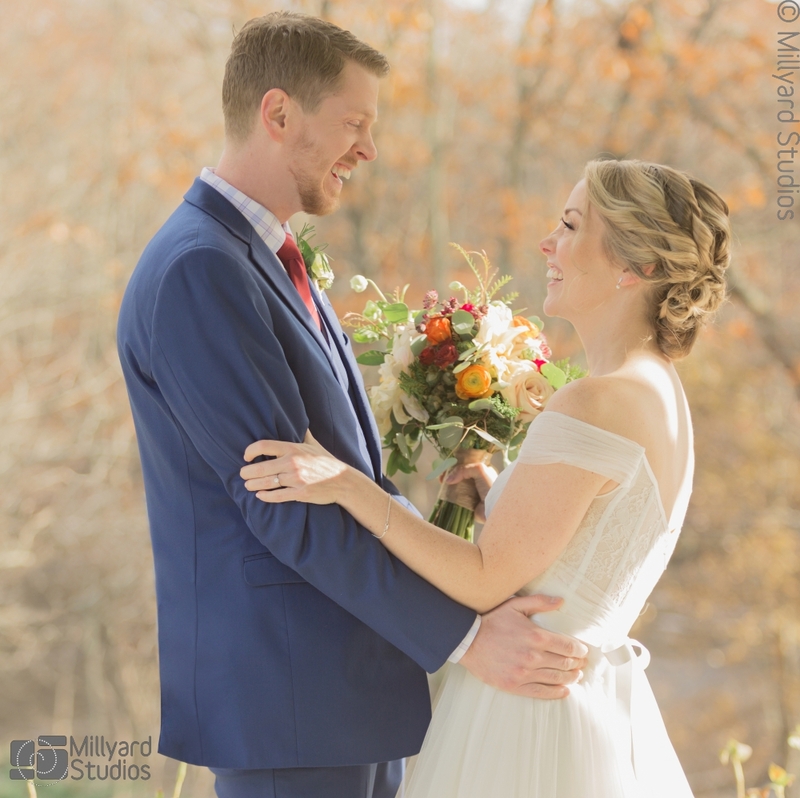 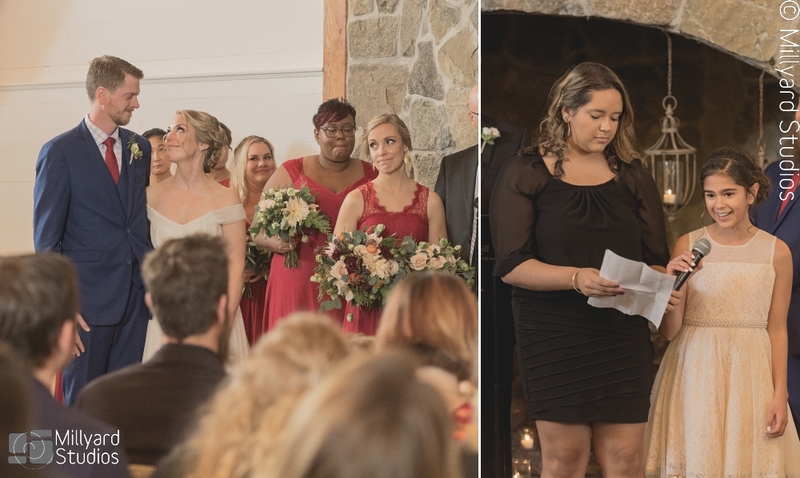 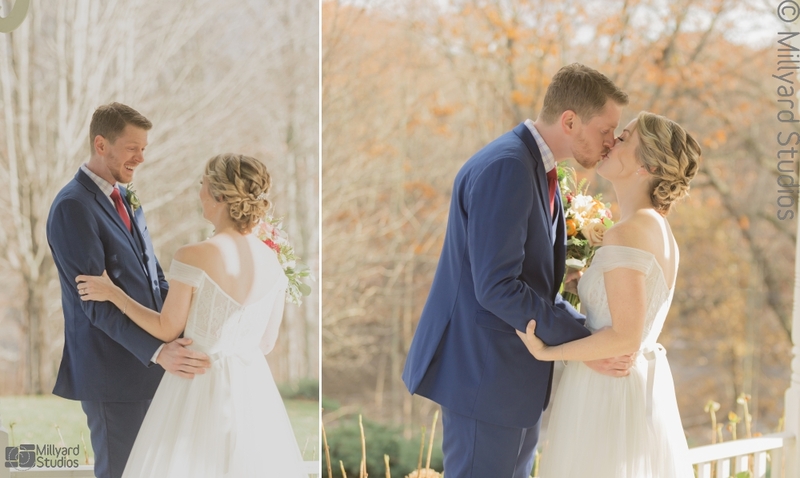 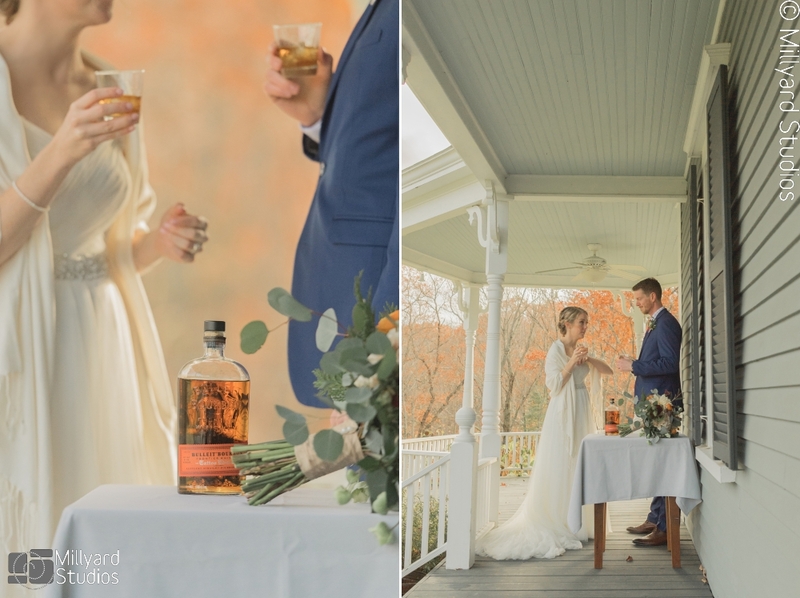 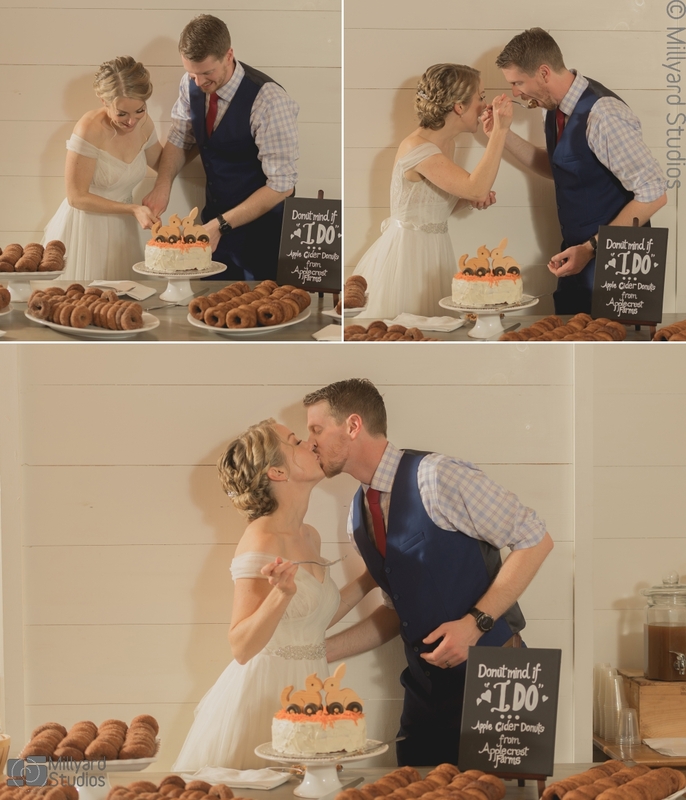 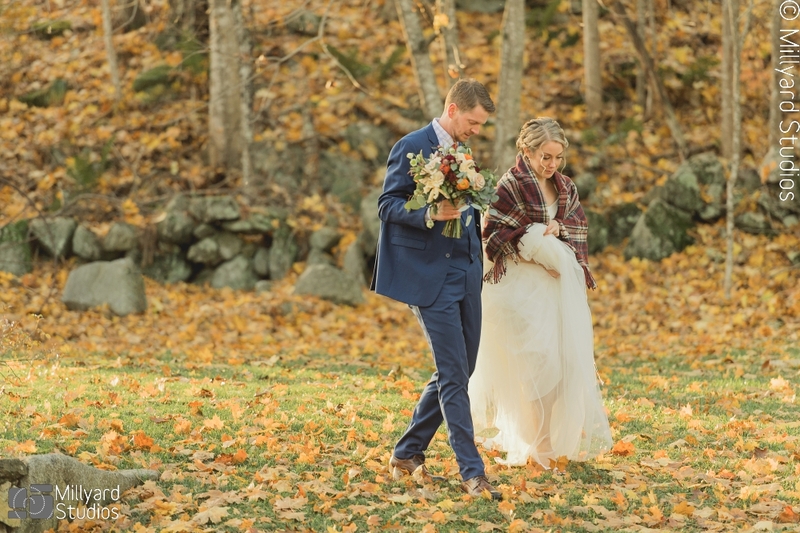 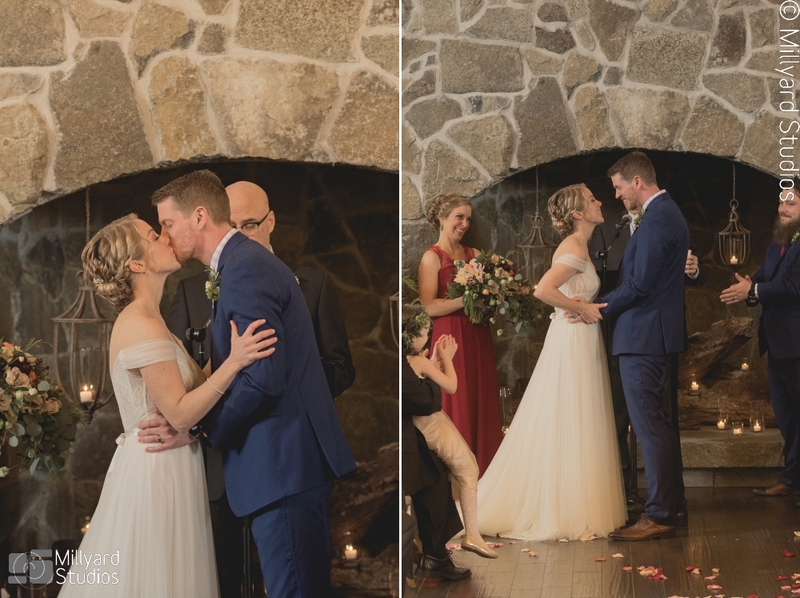 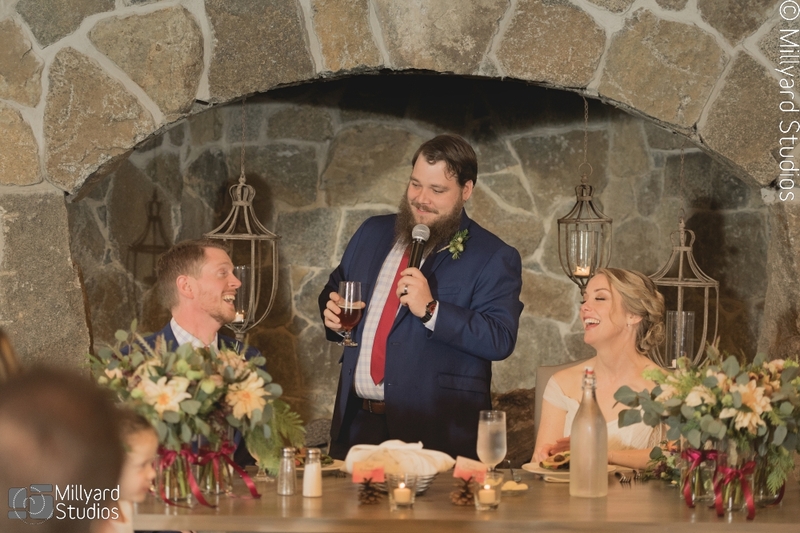 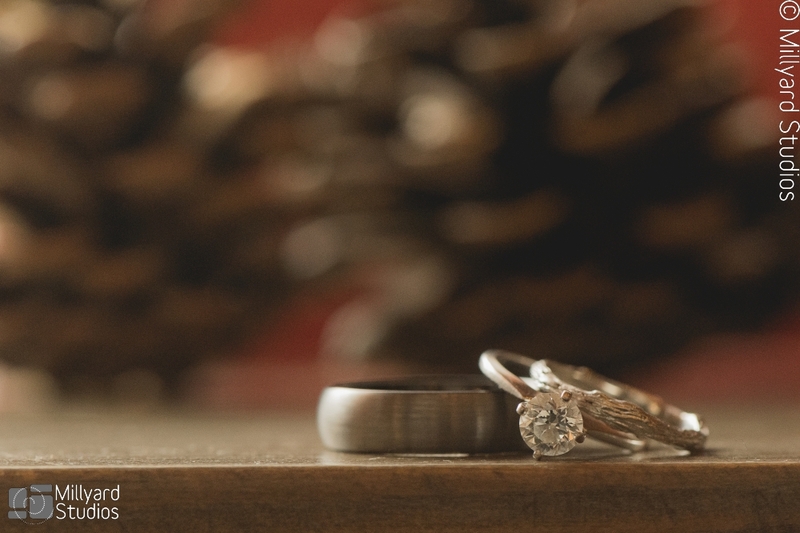 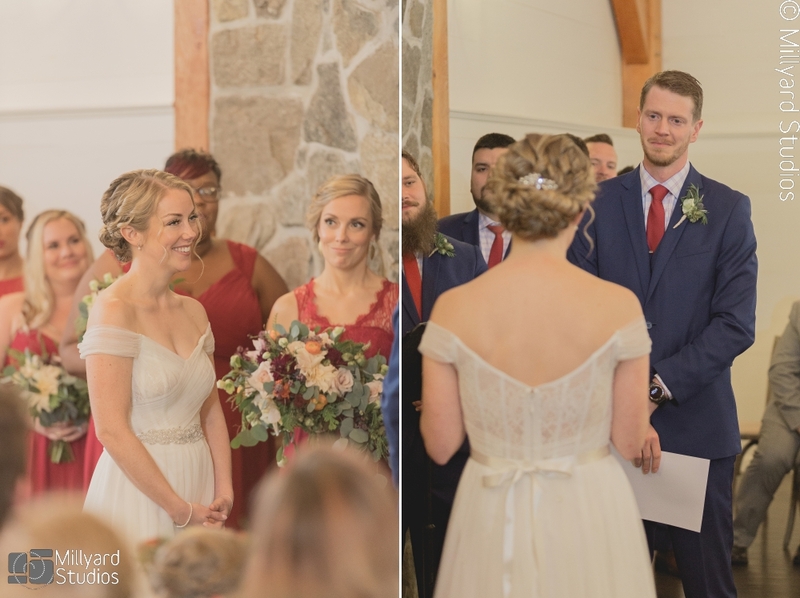 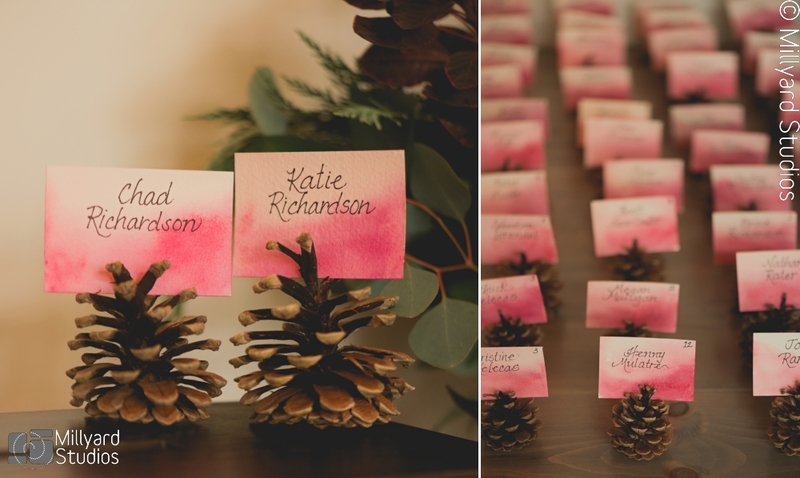 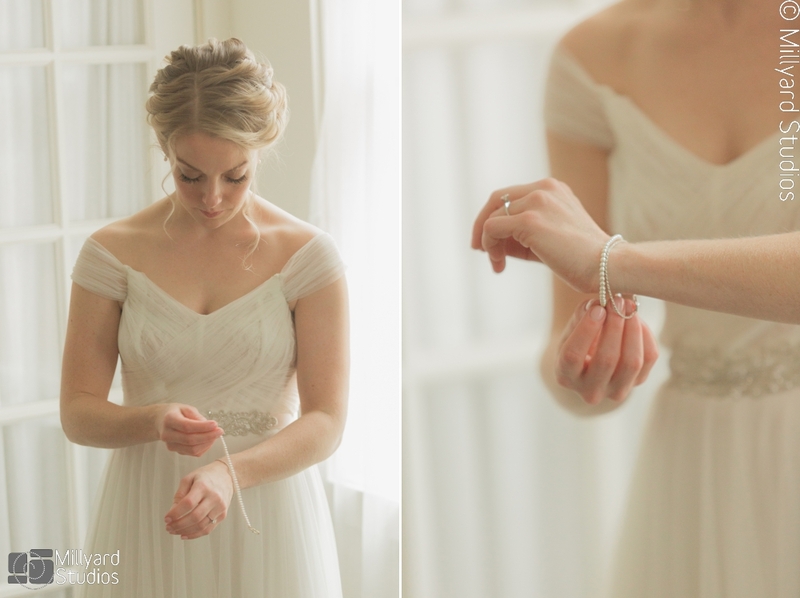 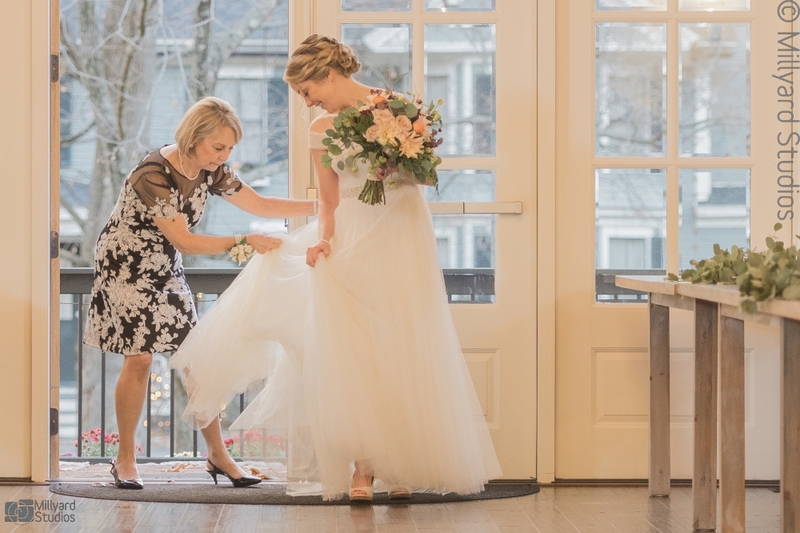 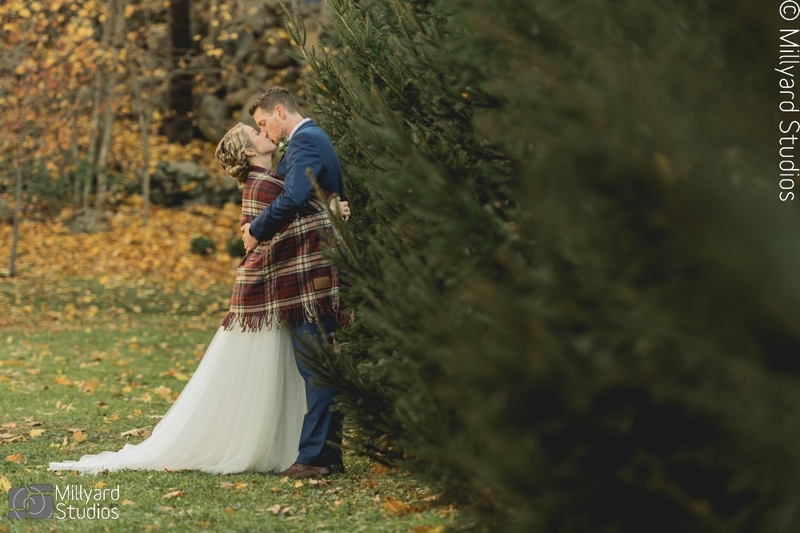 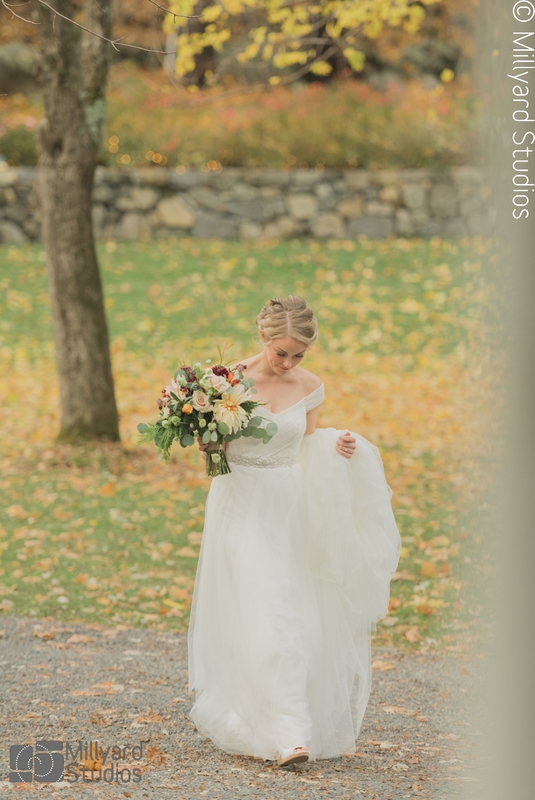 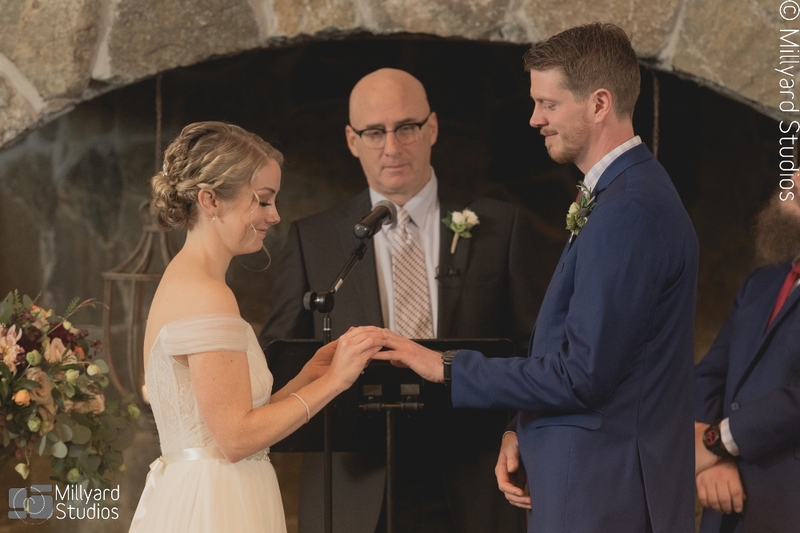 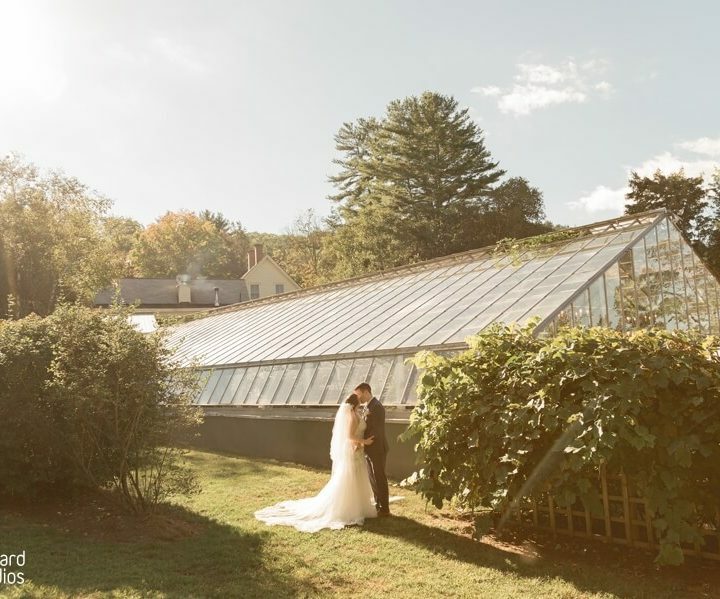 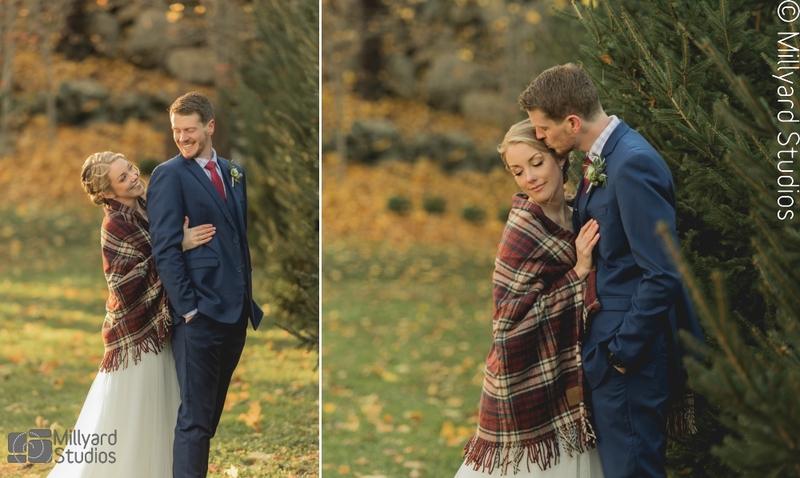 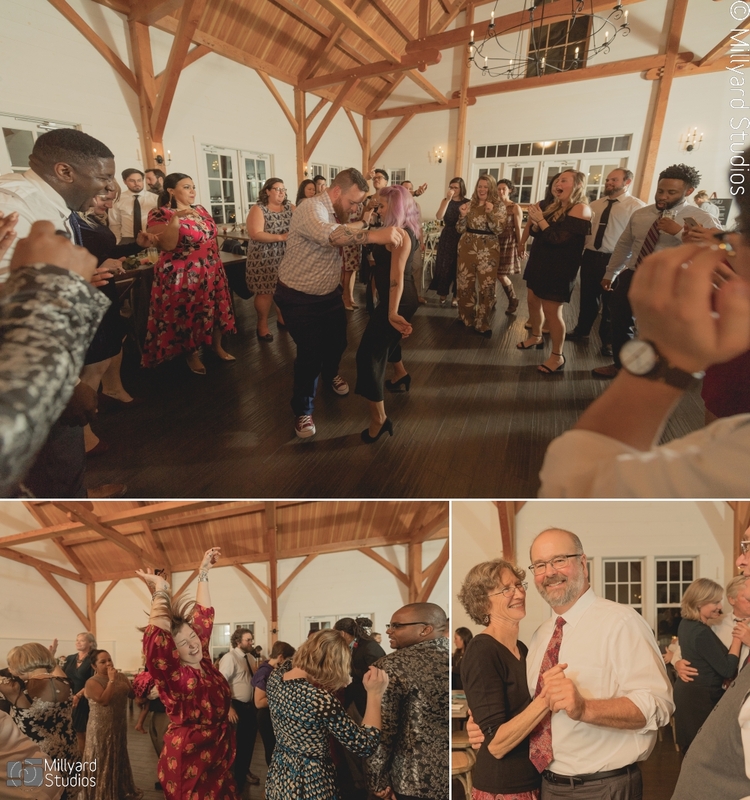 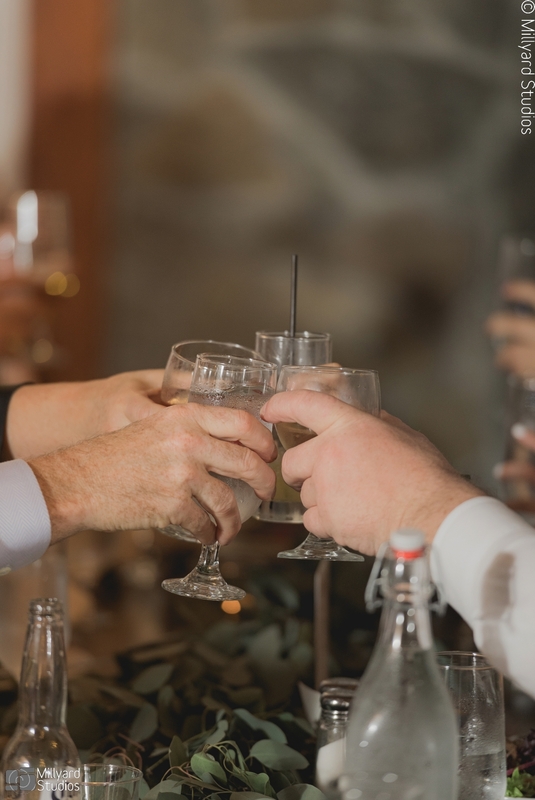 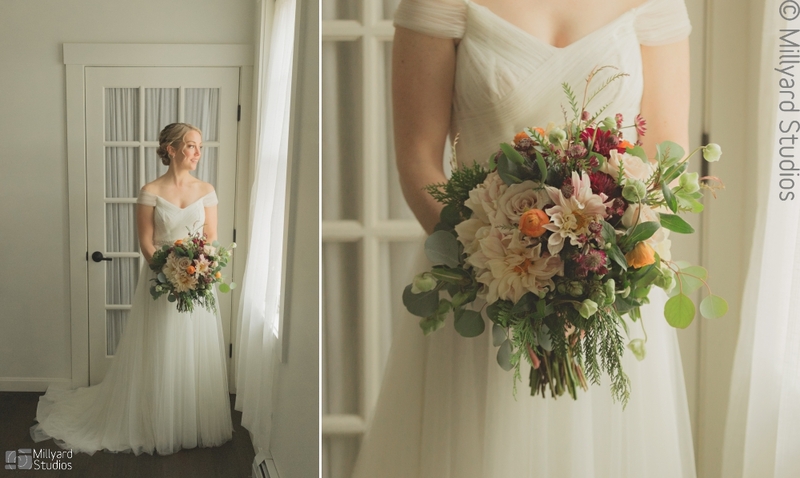 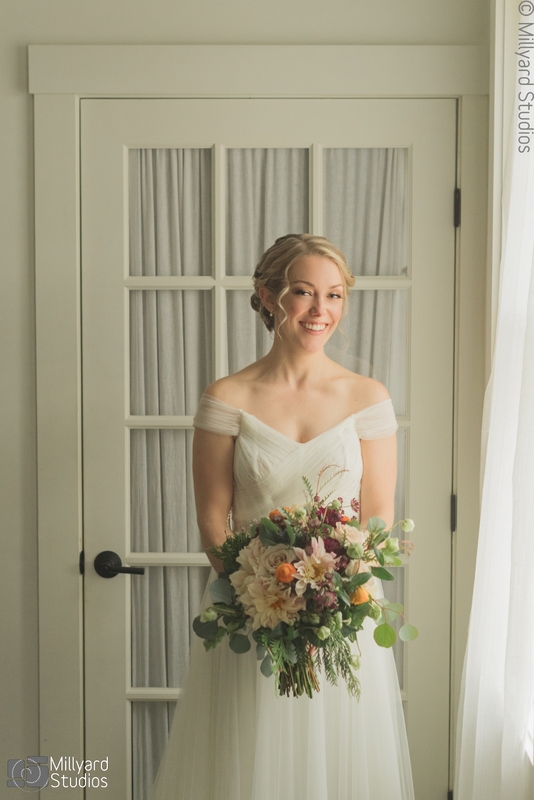 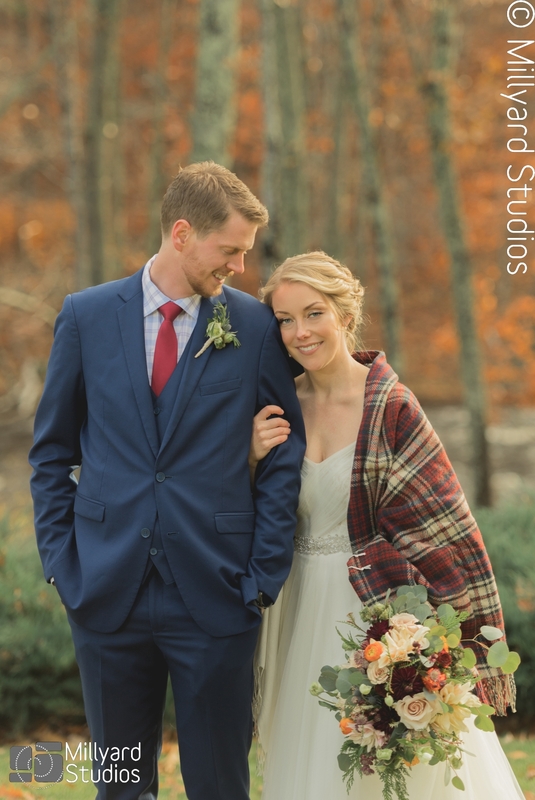 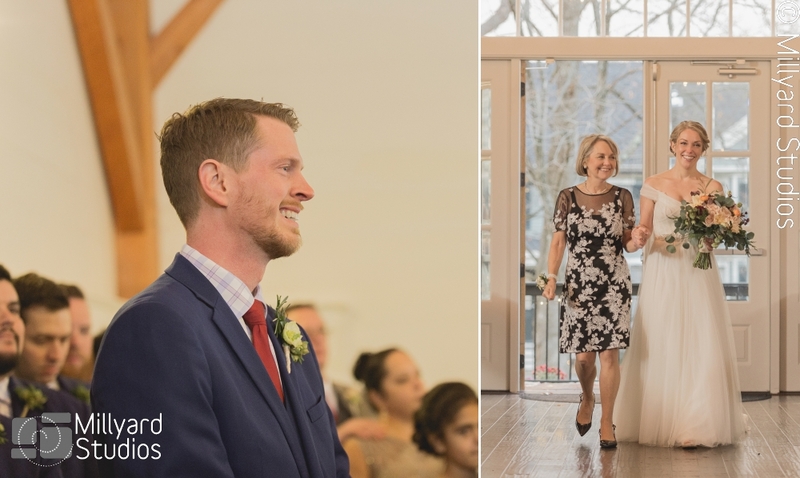 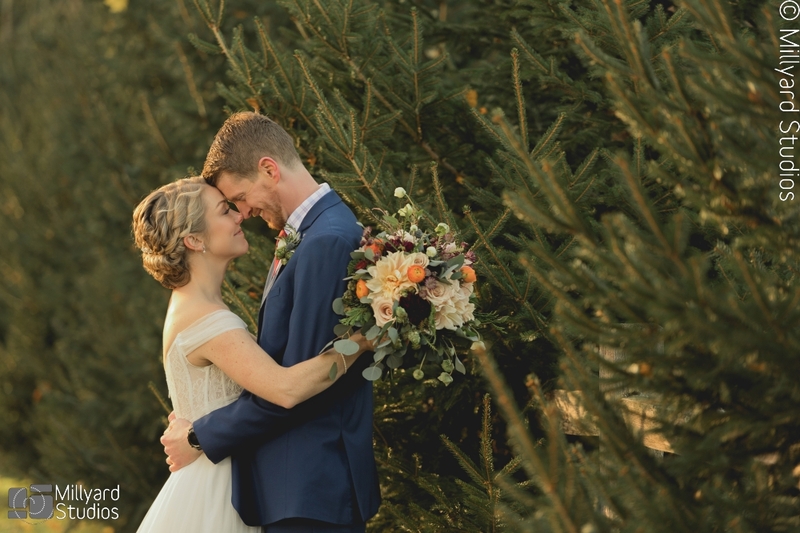 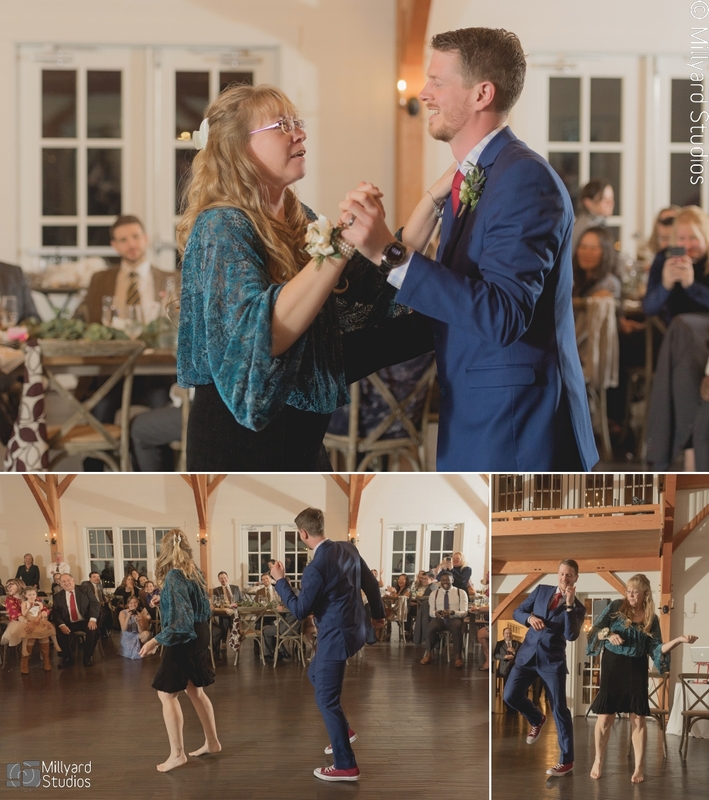 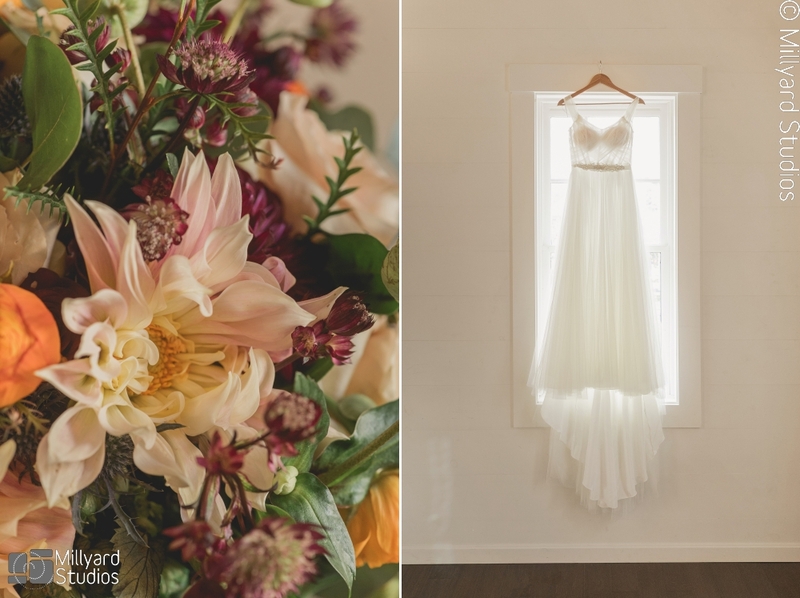 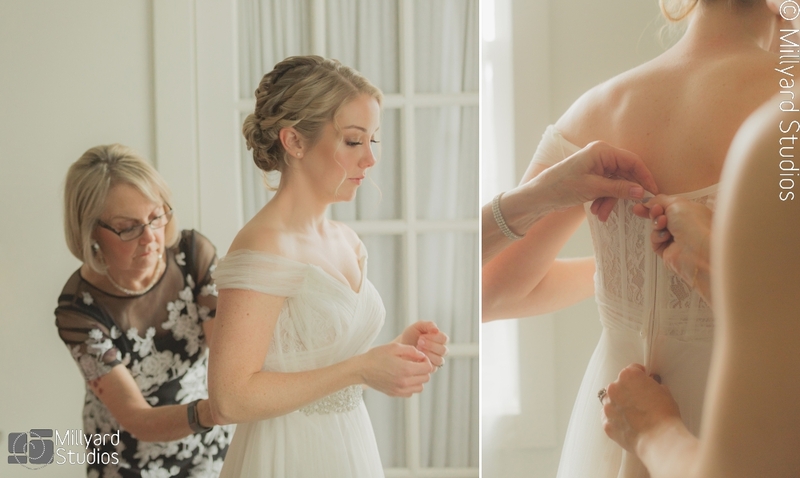 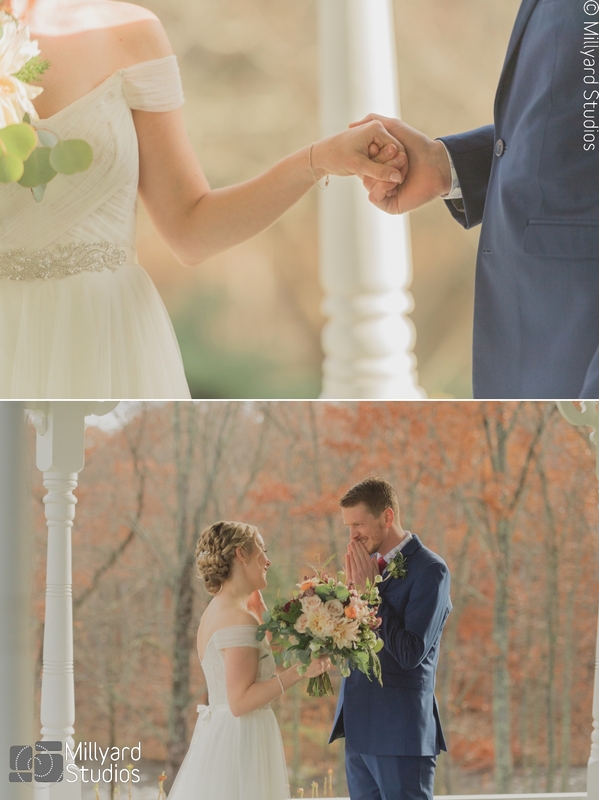 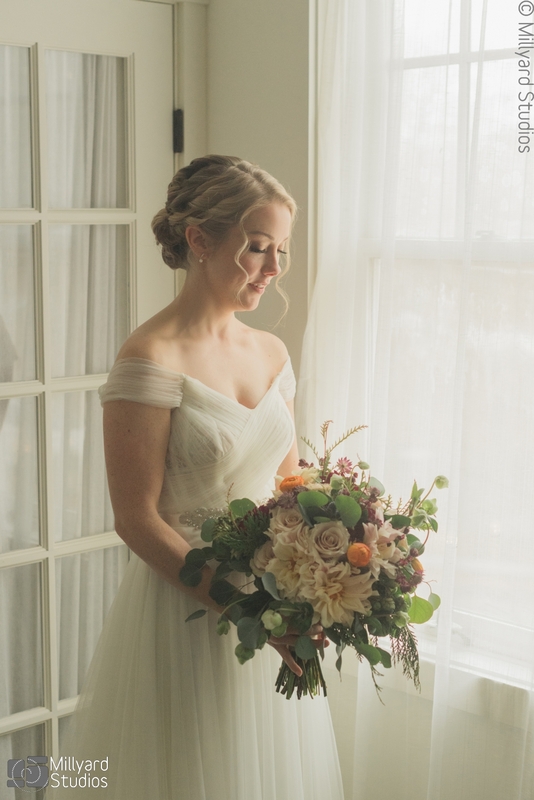 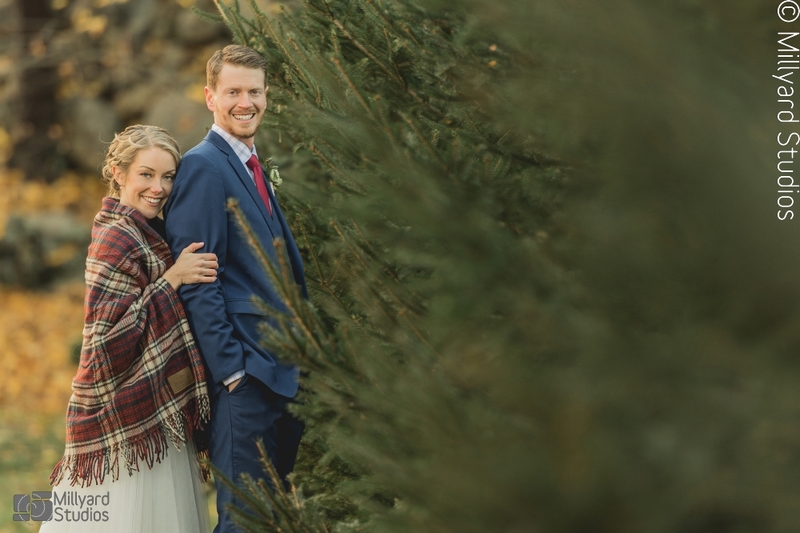 Katie and chad got married at an adorable and quaint little inn called The Thompson Inn in Durham NH. 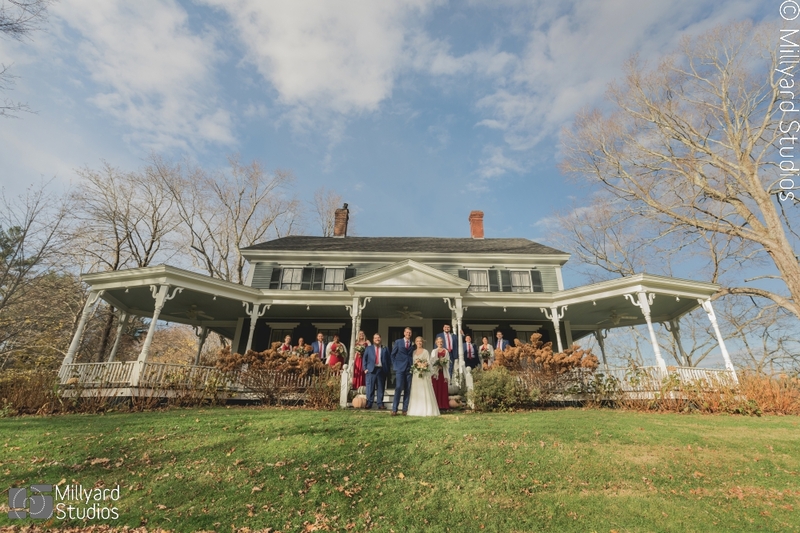 We love the look of this charming little inn! 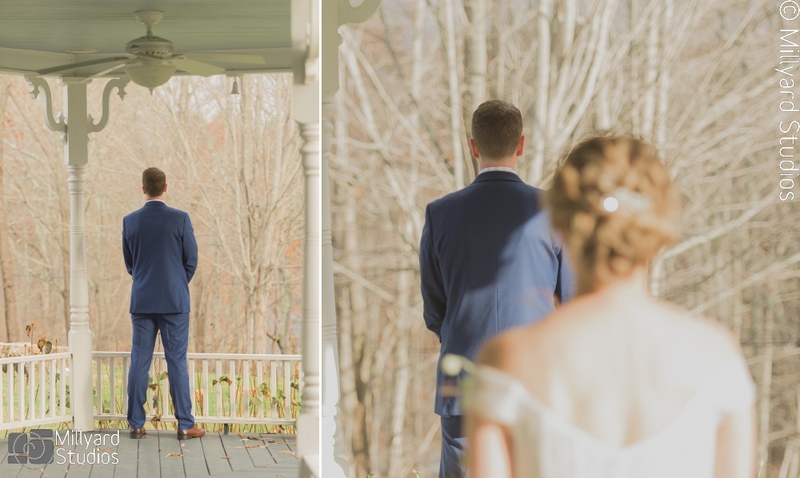 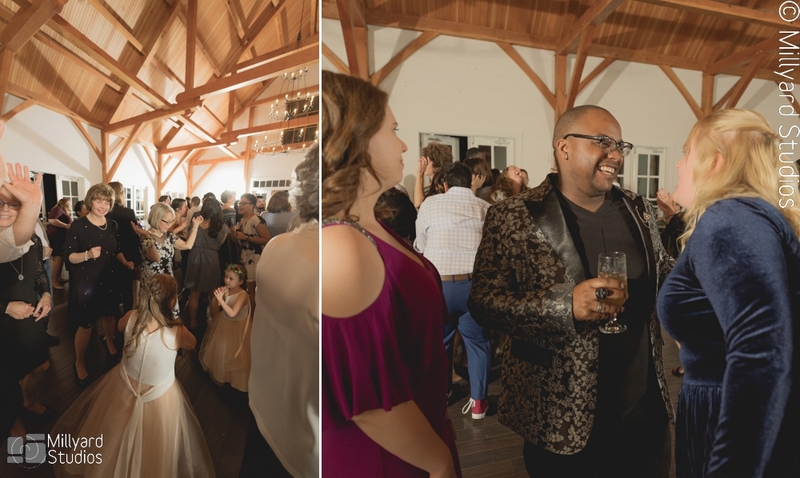 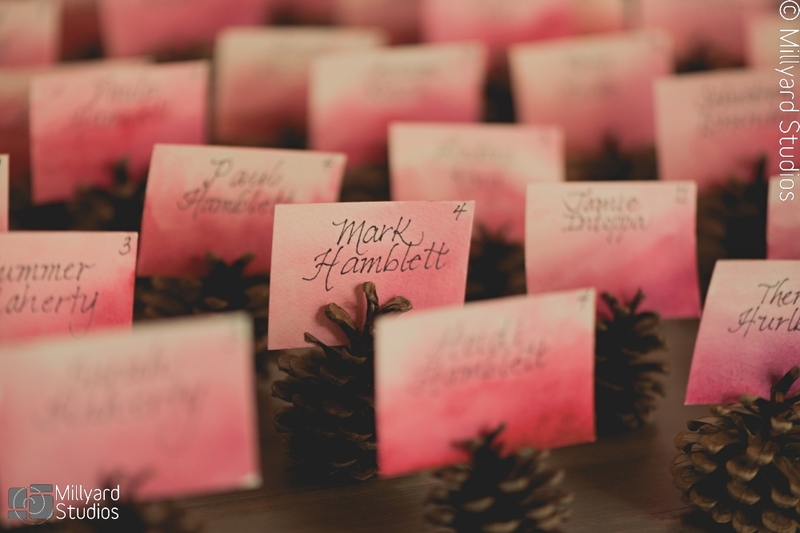 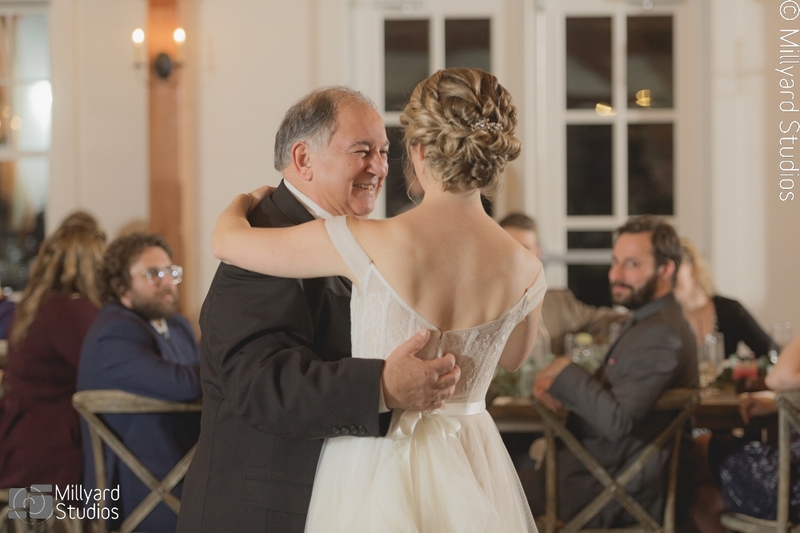 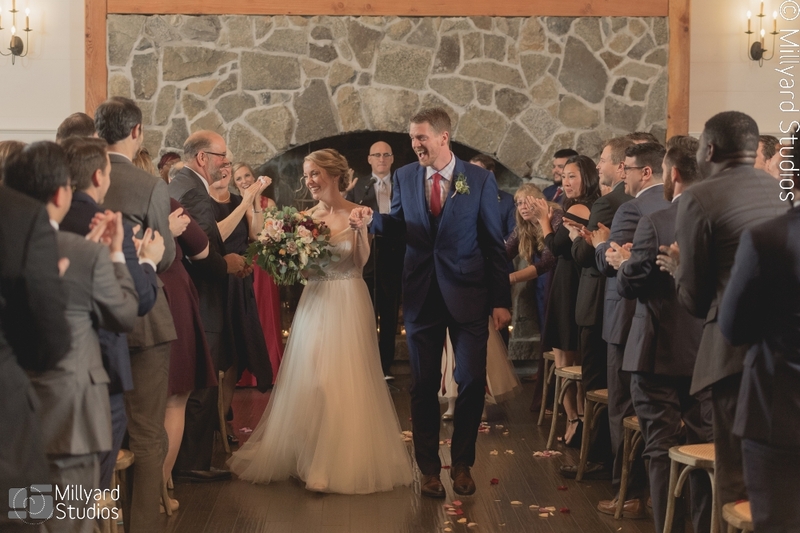 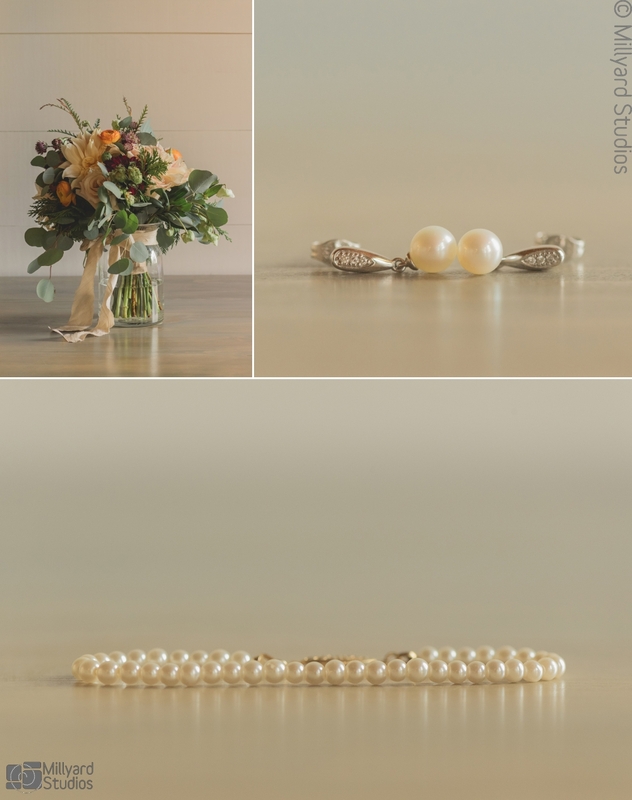 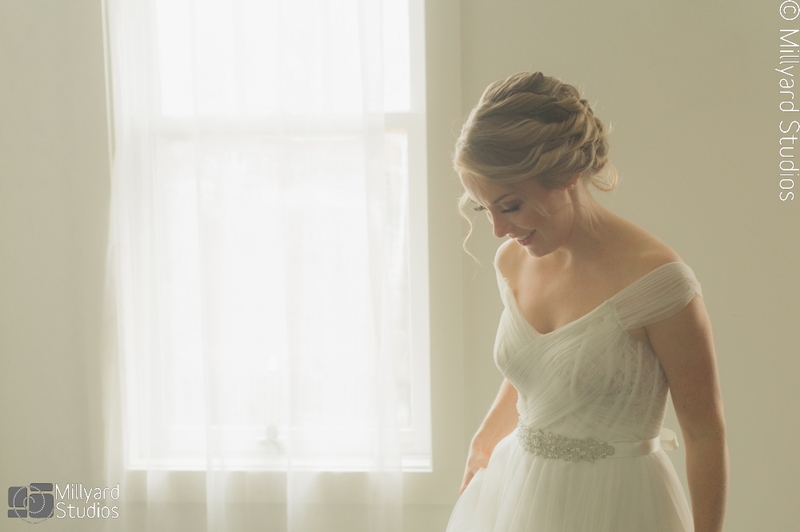 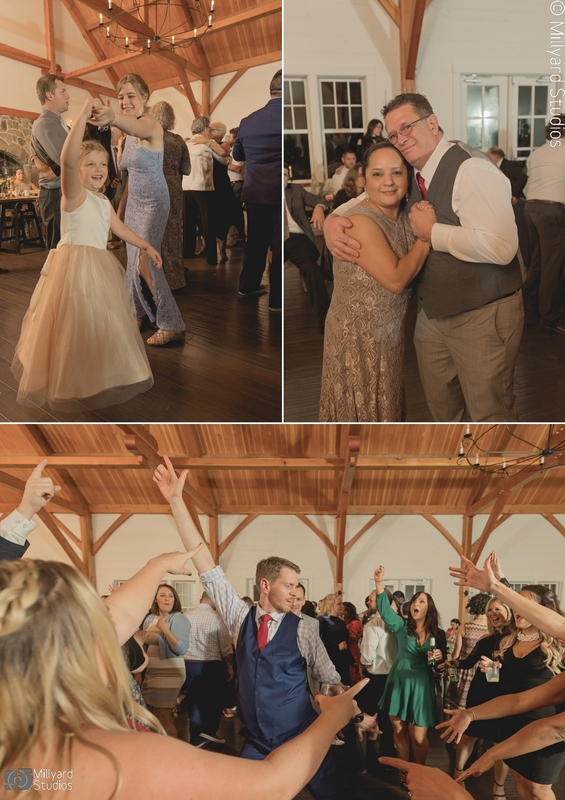 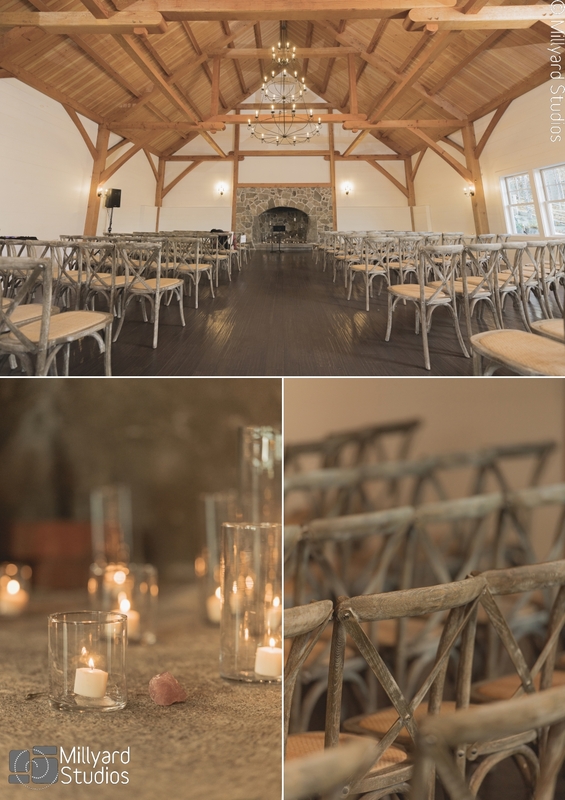 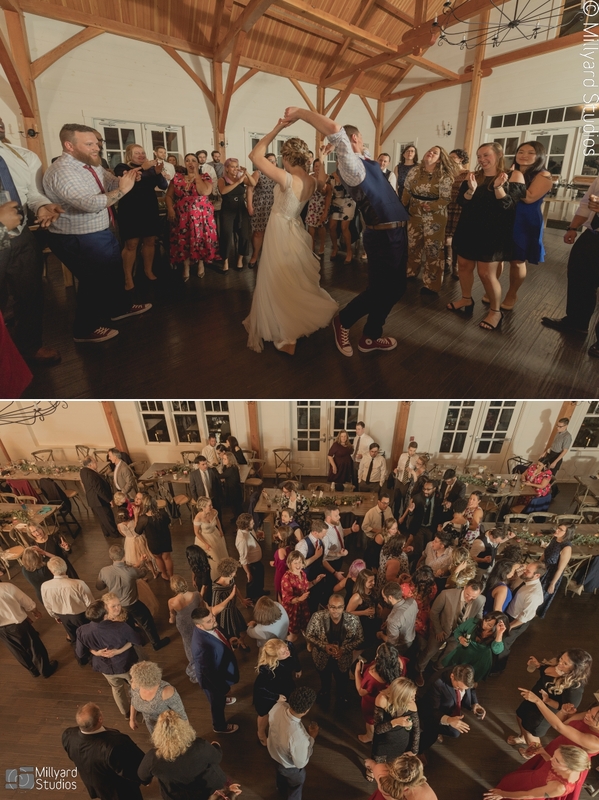 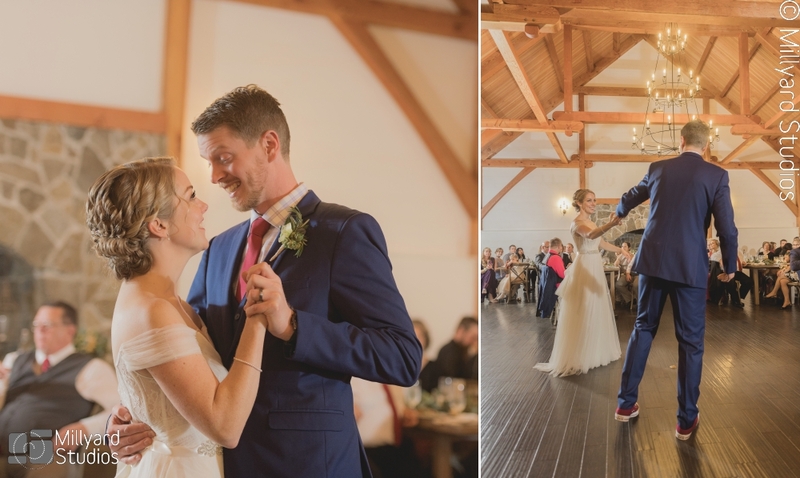 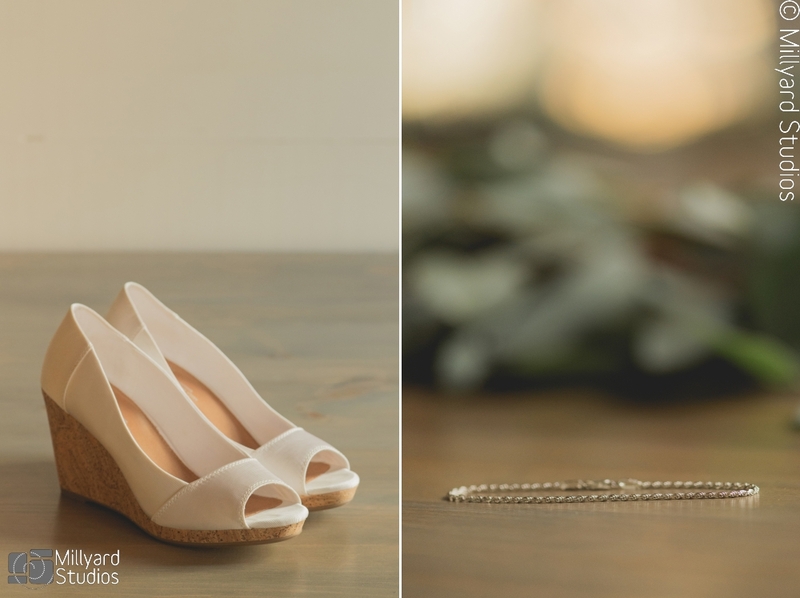 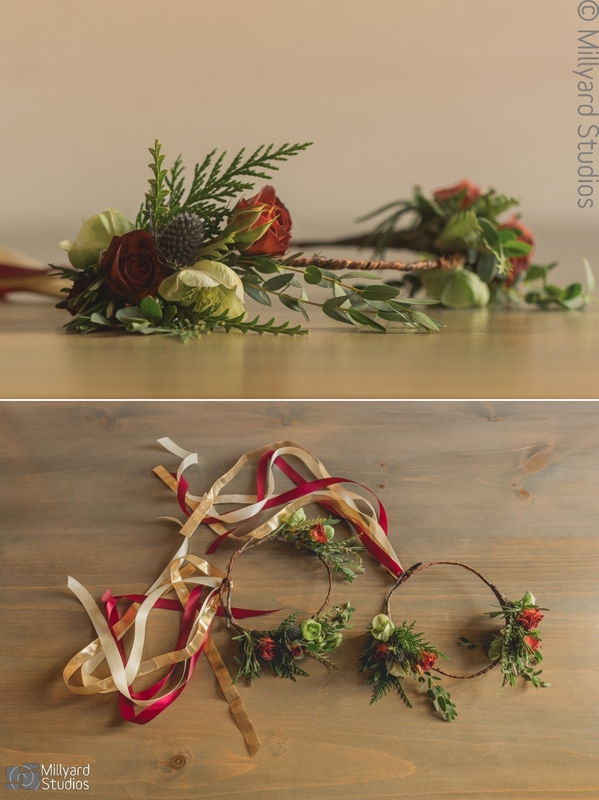 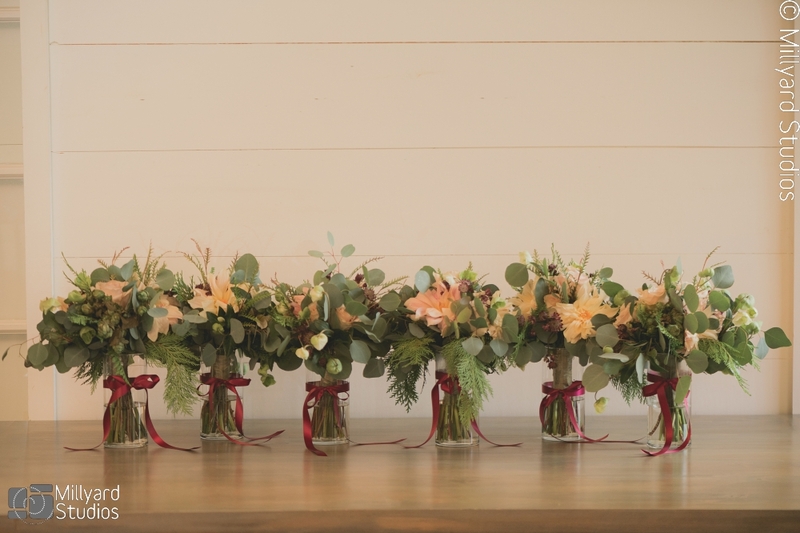 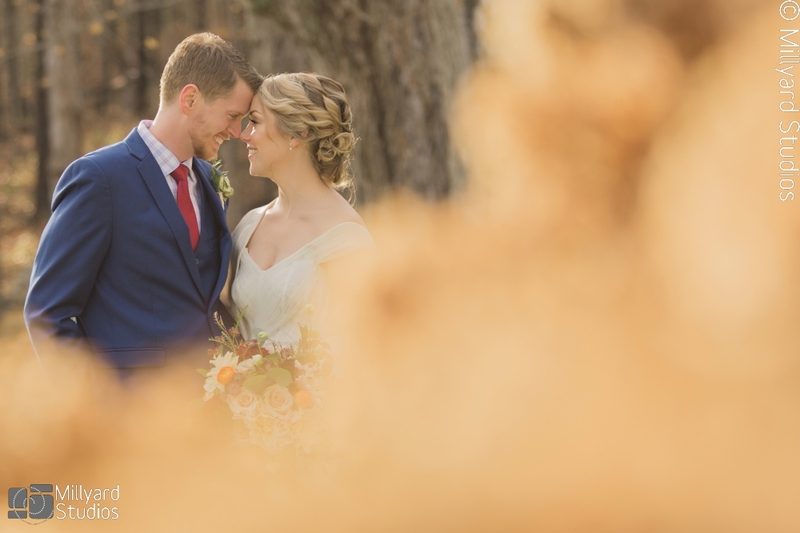 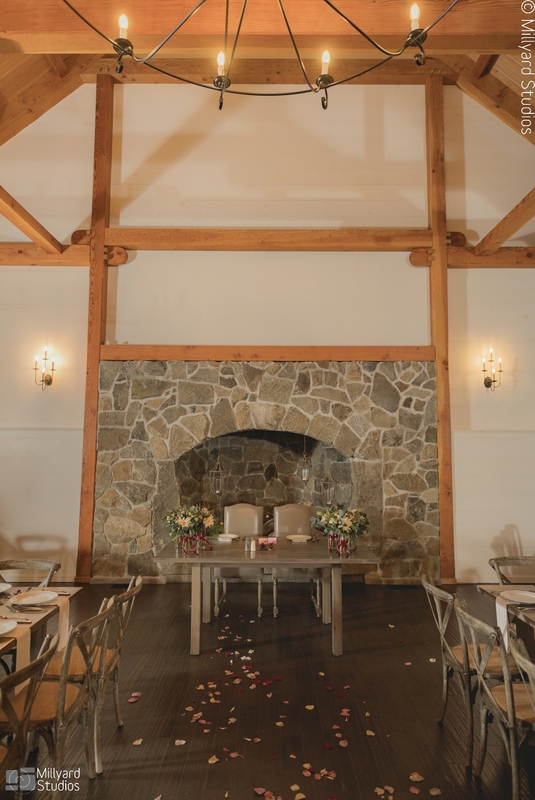 All the bright and sunny spaces were such a perfect blank slate for this bride and groom to put their person touch on. 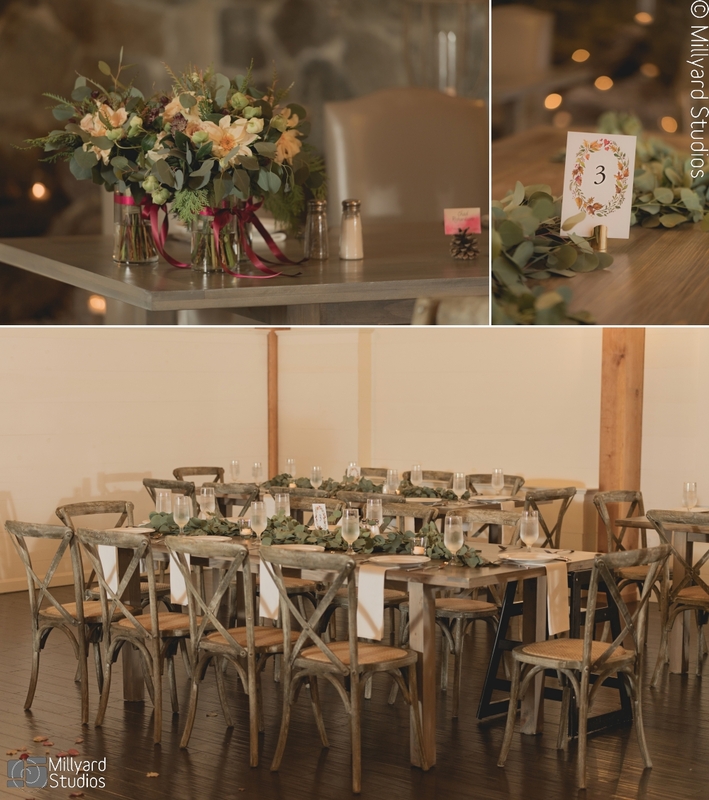 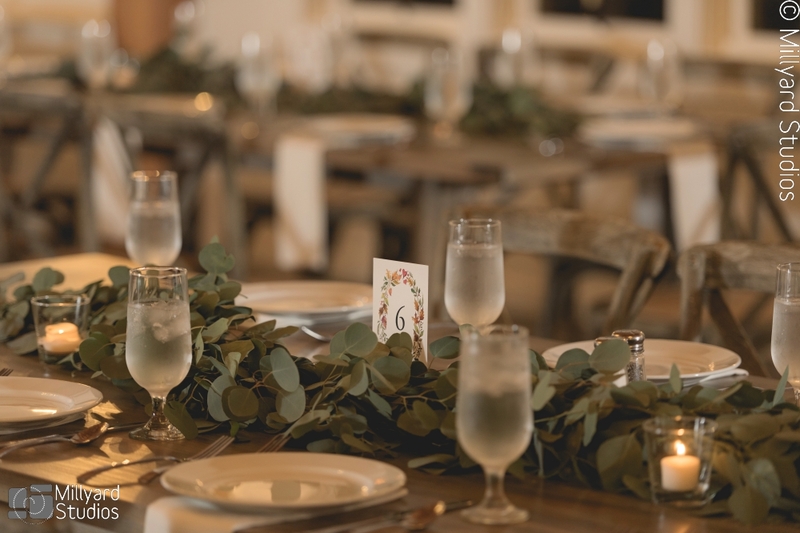 We loved the long tables with eucalyptus branches running down them as well as the cranberry and navy blue colors of the bridal party. 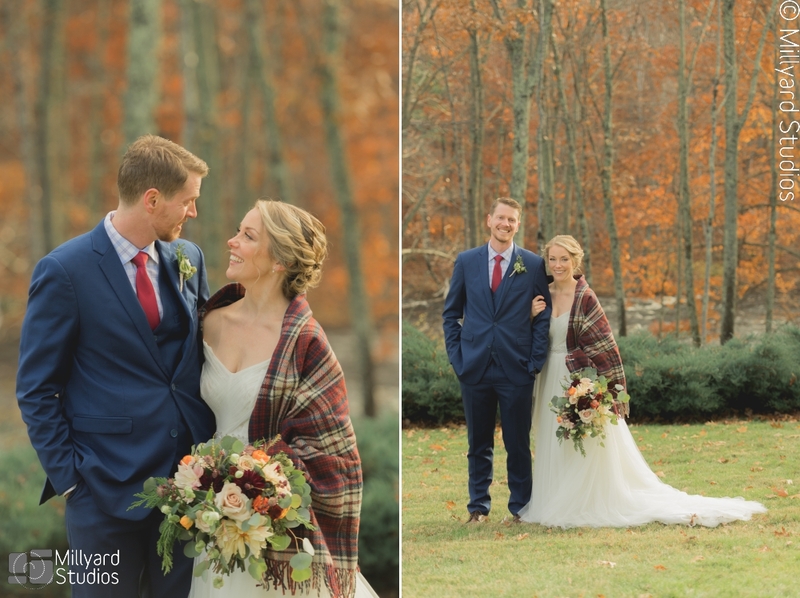 Not to mention the gorgeous fall leaves and colors in full swing! 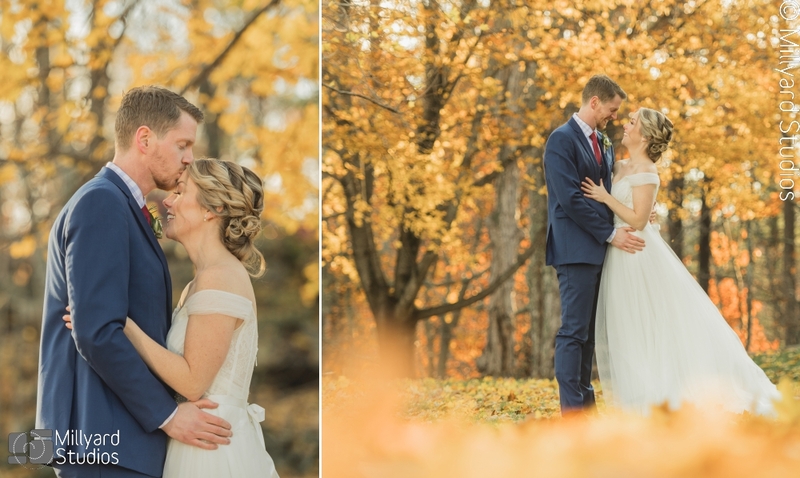 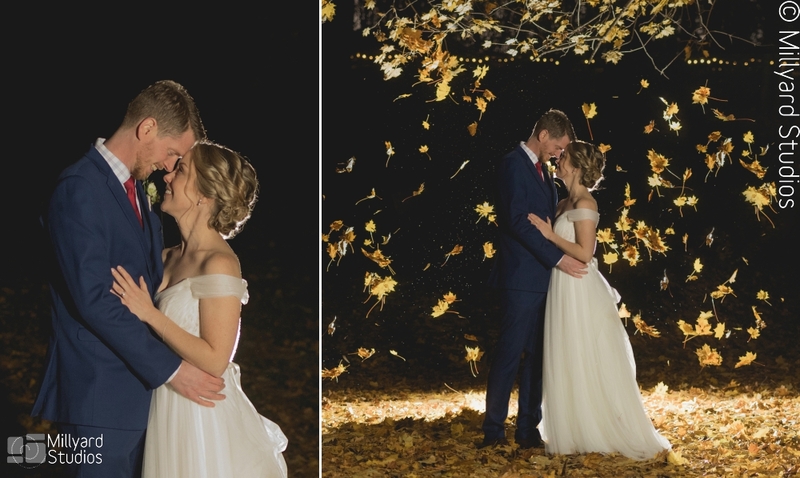 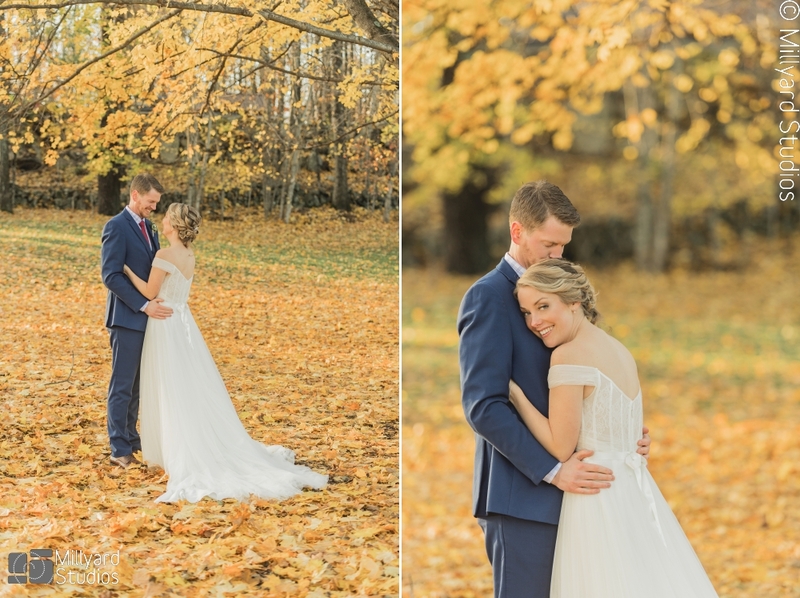 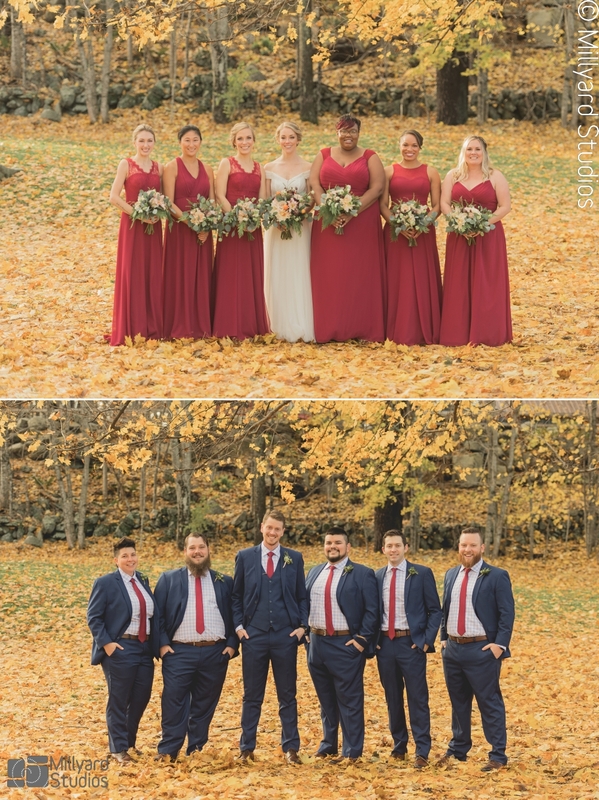 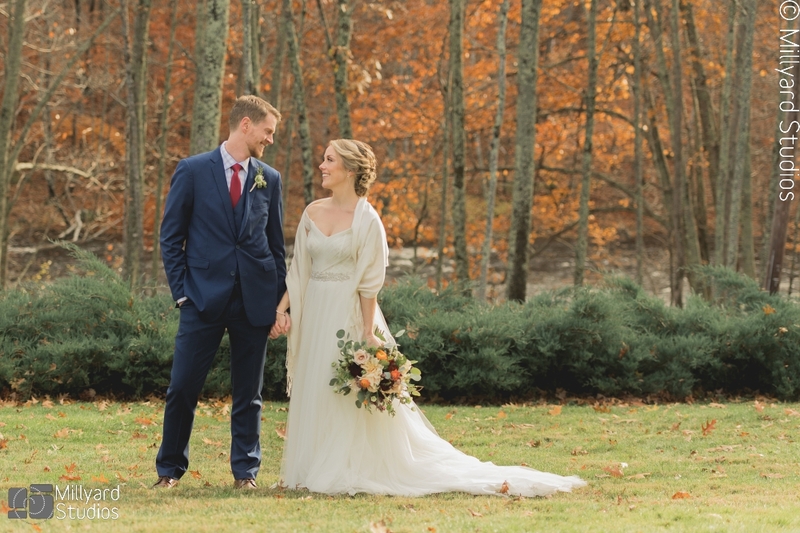 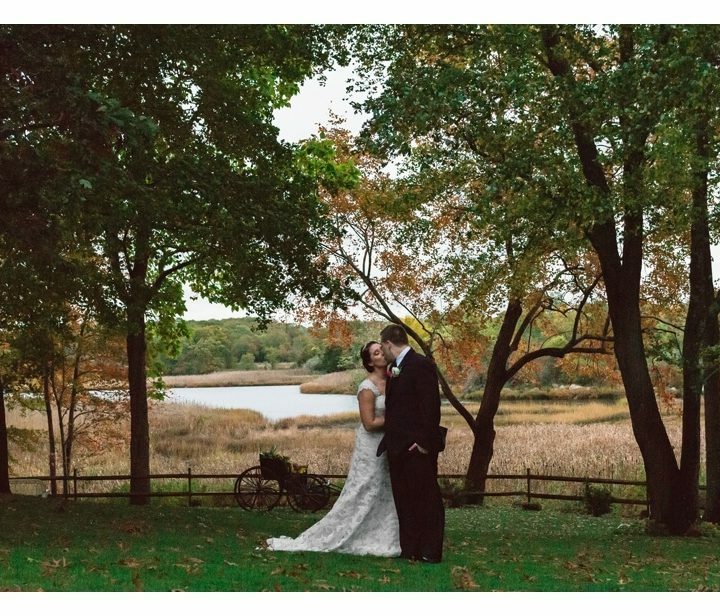 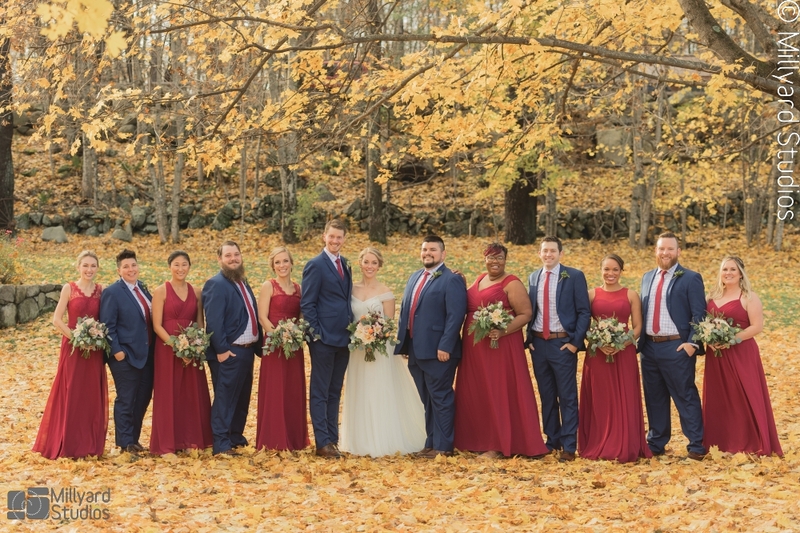 We got to take the Bride and Groom and their awesome bridal party outside for their photos in the beautiful fall leaves. 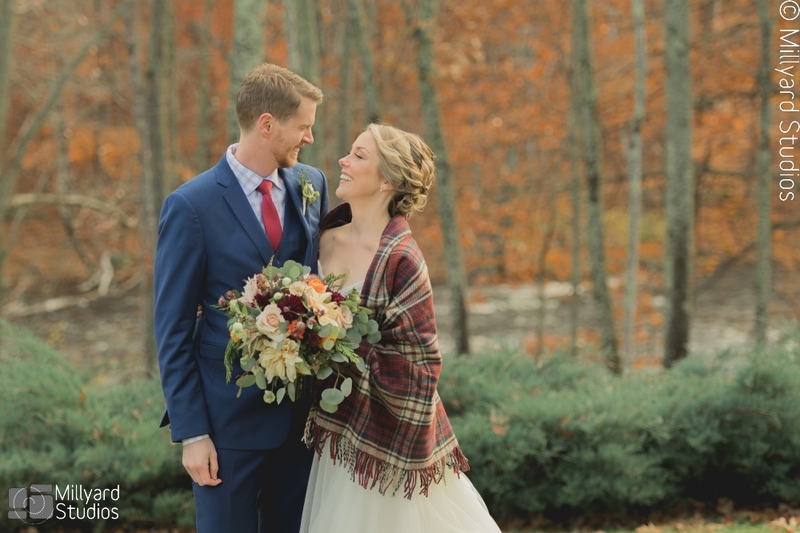 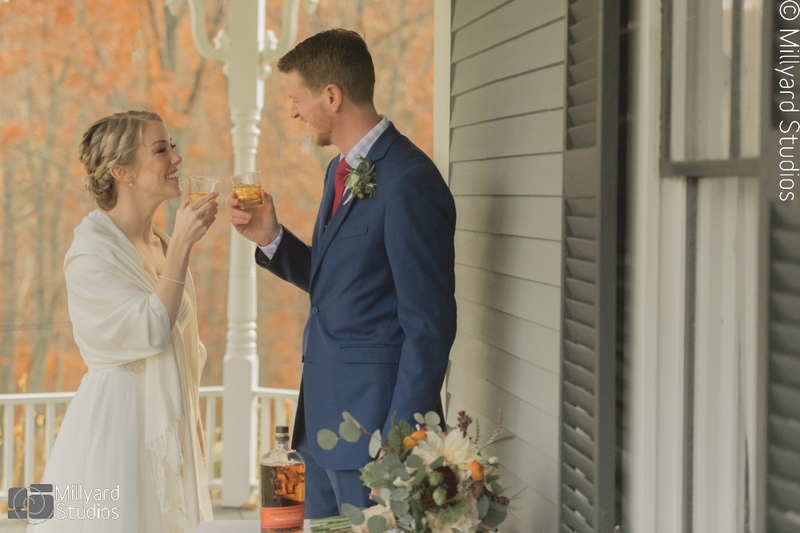 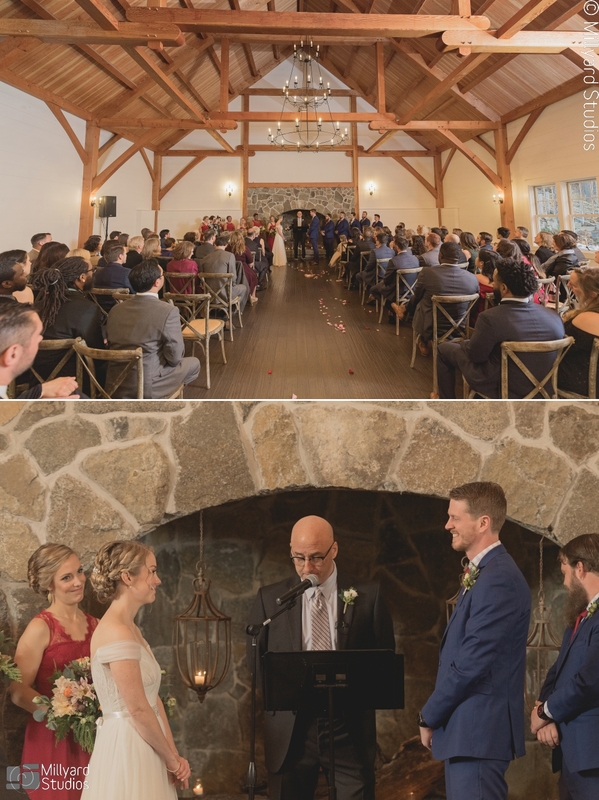 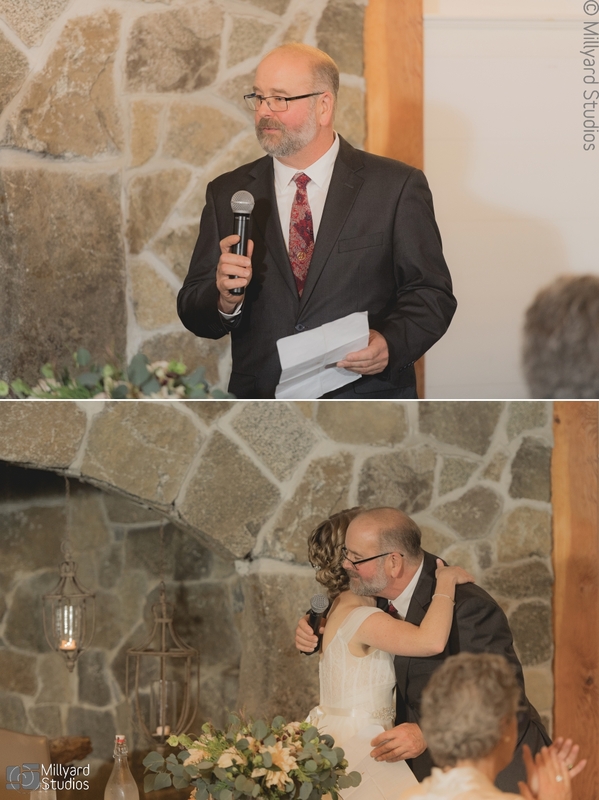 After, we all went inside to cozy up and watch these two say their vows and “I dos”! 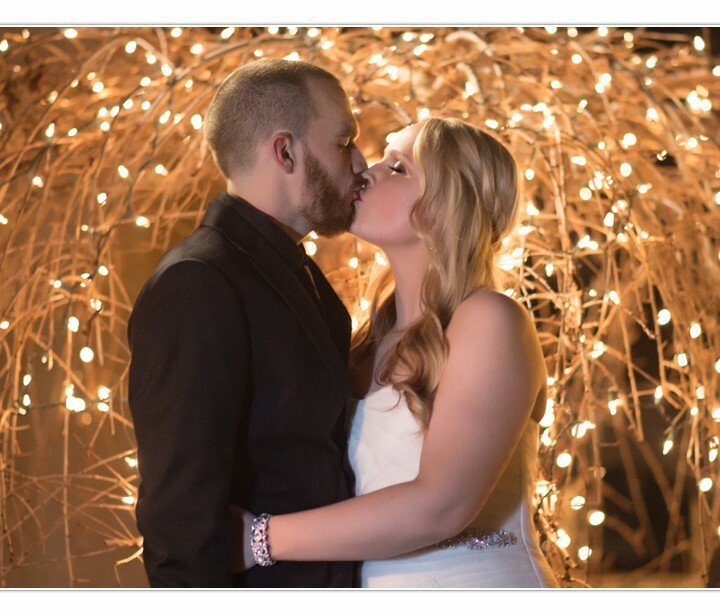 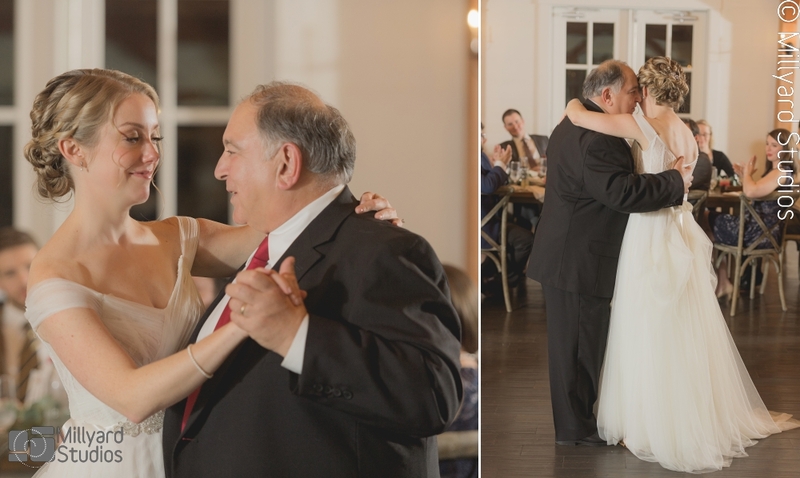 We all celebrated the night away with this amazingly sweet and beautiful couple and we couldn’t be more excited to be sharing their day! 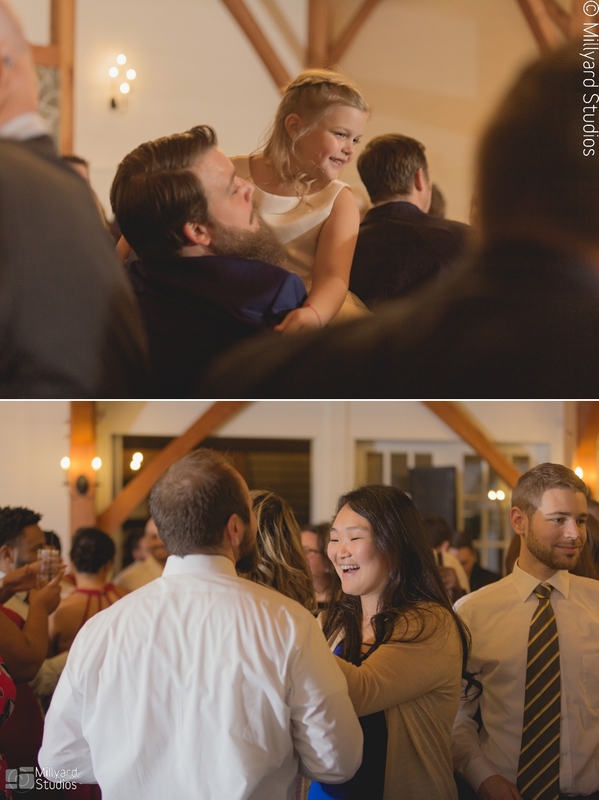 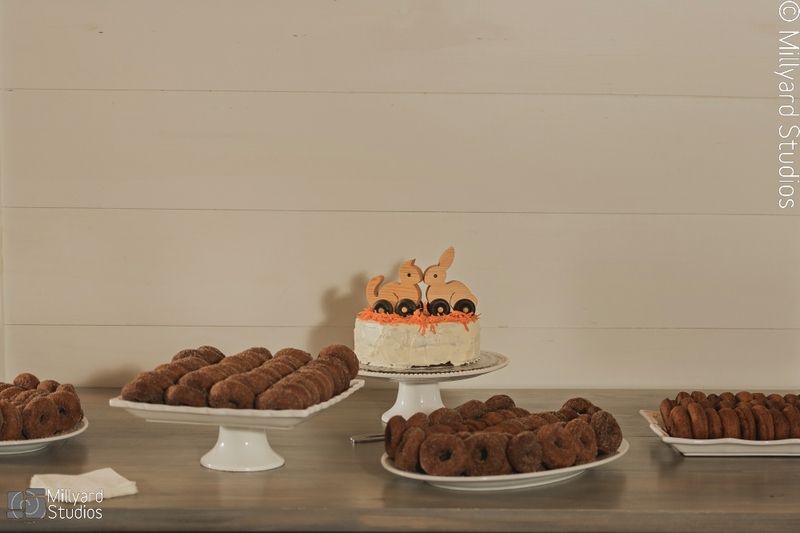 Congrats Katie & Chad!